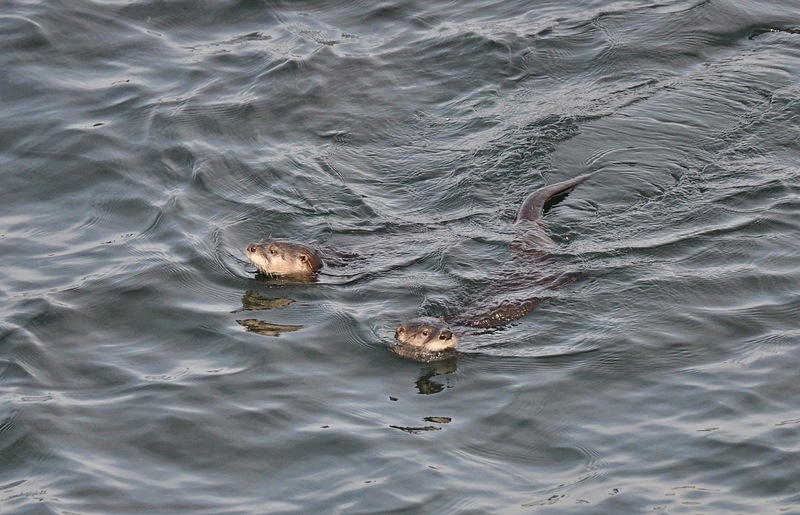 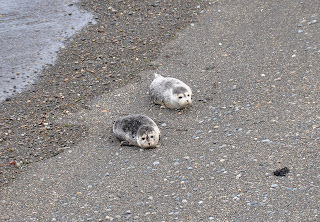 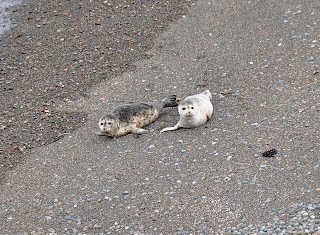 Two young Harbor Seals have been sharing a Seattle beach for the past several days. 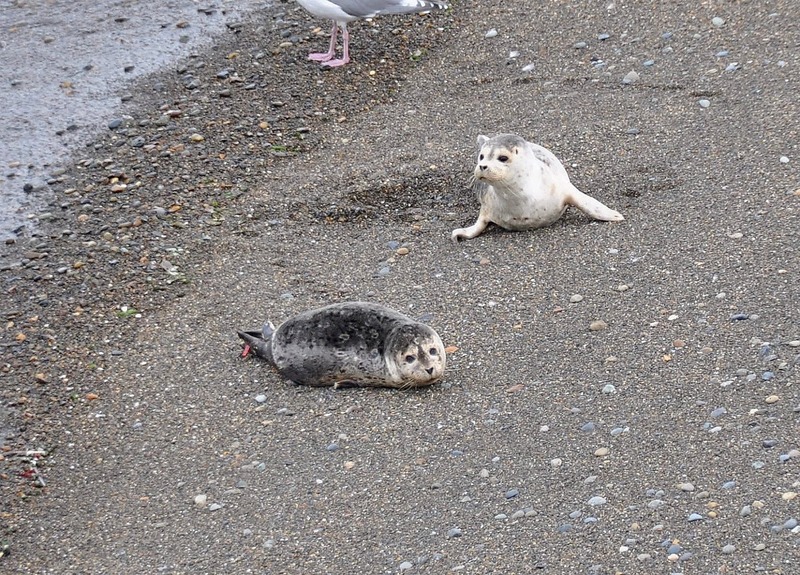 Ruby (female) is a rescue animal rehabilitated by PAWS in 2012 as a pup and has now chosen a local Seattle beach as a favorite resting area. 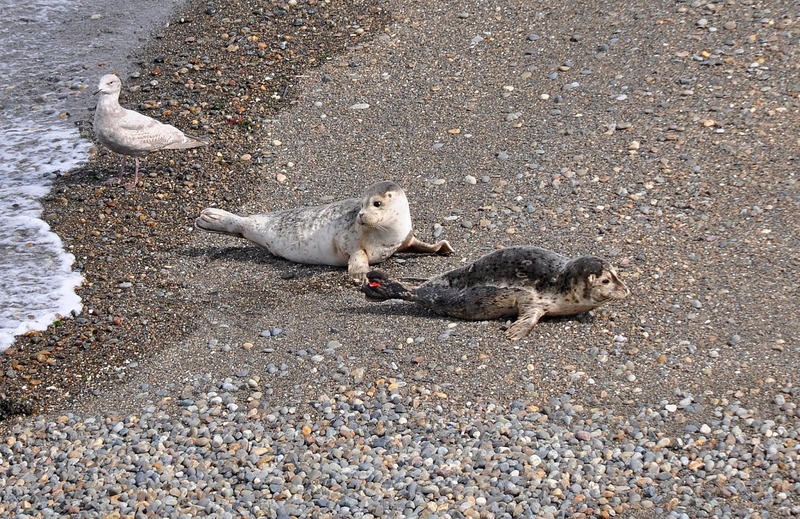 Harbor Seals haul out of the water on beaches, buoys, floats, rocks....etc. 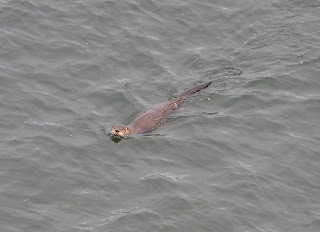 to rest about 1/2 of the time, the remaining time is spent hunting food. 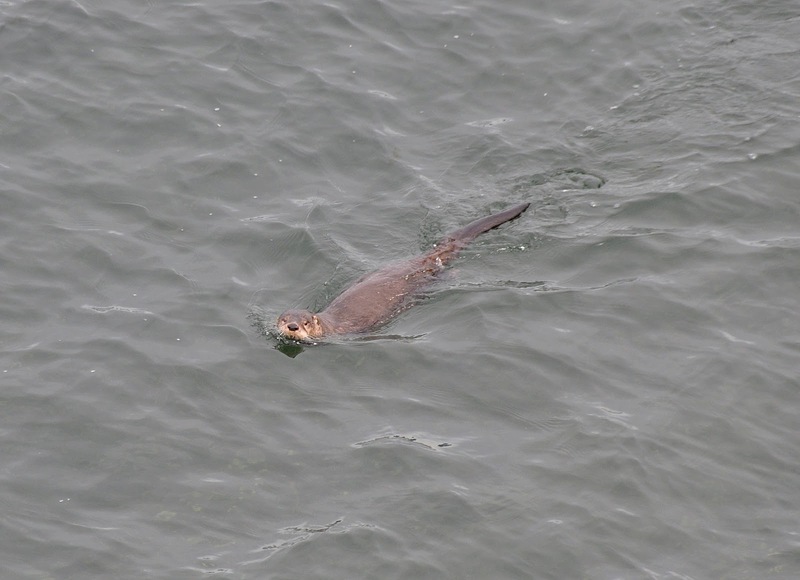 During the first year of the seal's life it is learning how to catch prey and is living close to the edge of survival. 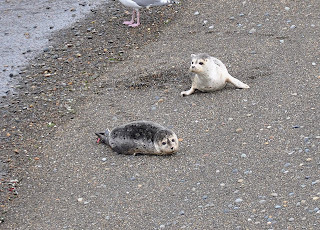 About 1/2 of all the seals die within the first year of life. 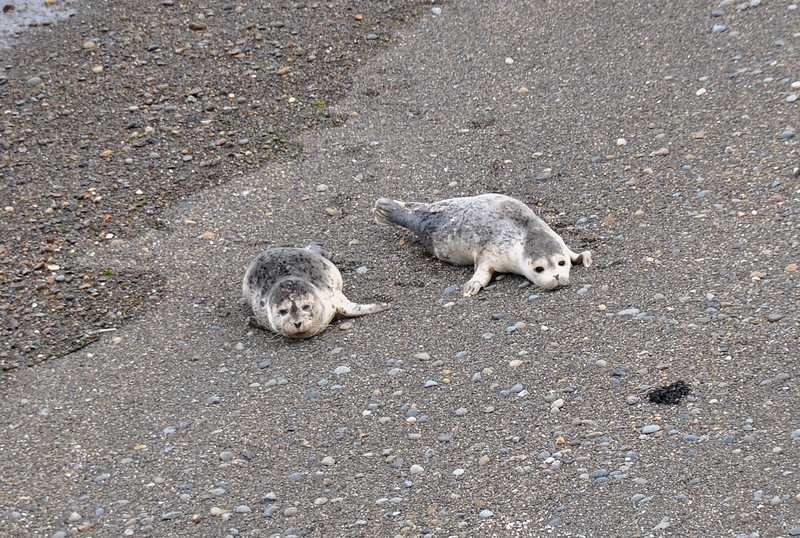 Resting on beaches allows them to retain body heat and rest up for the next session of hunting. 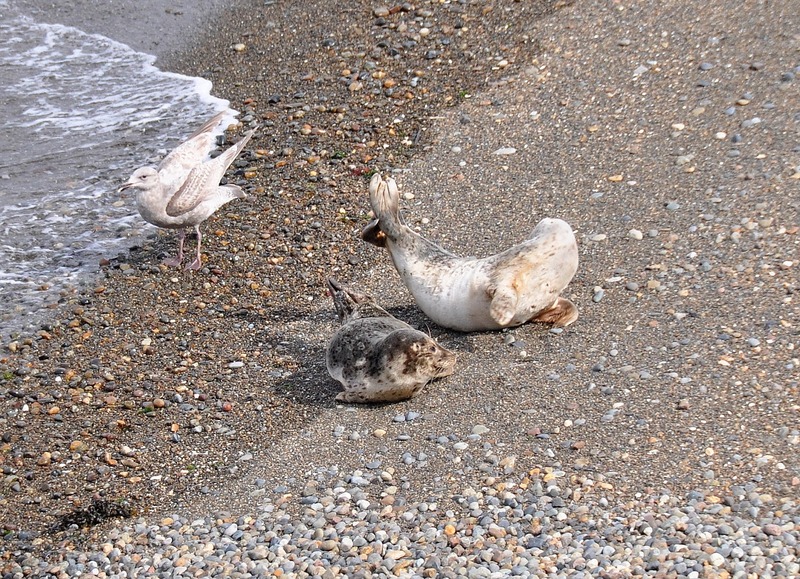 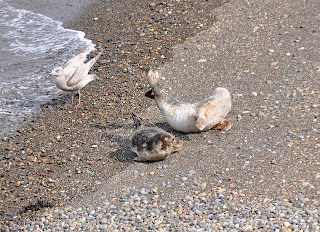 If forced off the beach by any disturbance the seals face greater odds against survival. 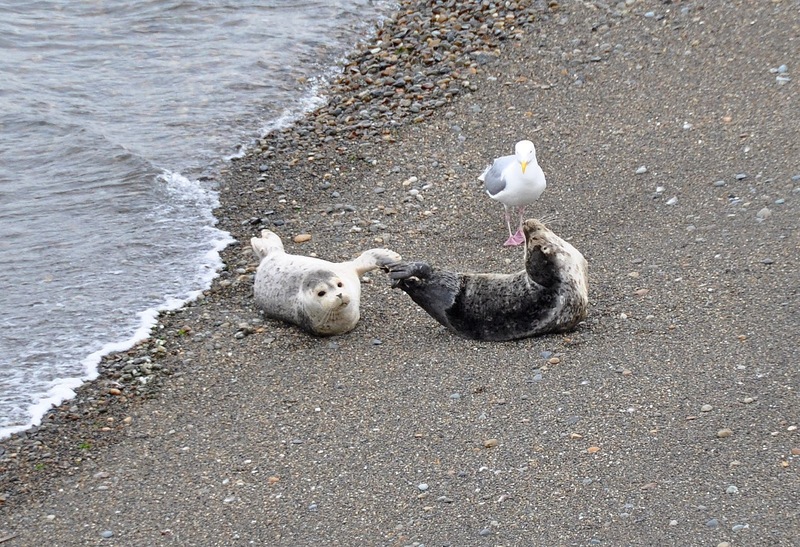 Seal Sitters is a volunteer organization and a member of the Northwest Stranding Network with ties to NOAA. 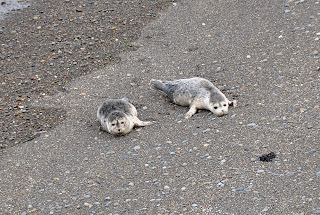 The mission of Seal Sitters is to limit or eliminate as much a possible human disturbance of resting seals. 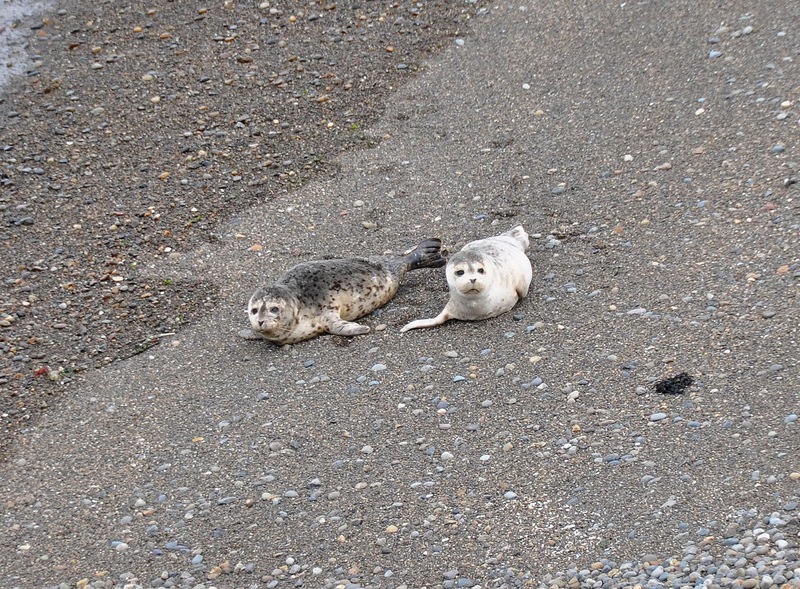 This is accomplished through on site monitoring of seals to prevent disturbance of seals by the public and education of the public. 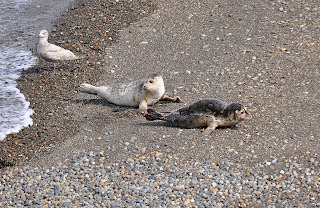 The two seals (Ruby and Buddy) in the images below are resting on a Seattle beach that is closed to human access, which reduces the potential or disturbance to the resting seals.